This is something I really want to do someday. I’m not entirely sure I’d be up for the whole route, though. If I had “world enough and time” I’d amble my way through it, but the reality is I’d probably have to pick the shortest route and do it that way. Still, it’s something that has fascinated me for years and would be a pretty cool accomplishment. I wonder if I have the nerve to do it alone, or if it’s something that I’d like to share with someone. Hmmm. down under is not on that list WHY? and make sure you have a tiramisu on the way , the grand duke of Tuscany would be pleased! Well that makes two three of us. This is something I have been wanting to do for years and really thought I was doing it alone because everytime I spoke about this no one ever said they were interested. Ever since I read ‘El Camino’, I just had to do this. So, count me in. 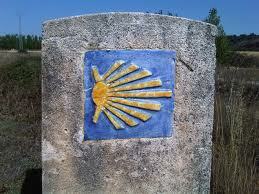 I will go on the Camino with you! I am dying to go! Dy.ing. Let’s start saving our pennies for it. My husband insists he can’t both pay for it AND take the time off work to go on it. Done! It’s starting to look like the Canterbury Tales! Any other takers?